3 Layers of delicious white cake. With 2 layers of lemon cream filling and fresh raspberries. 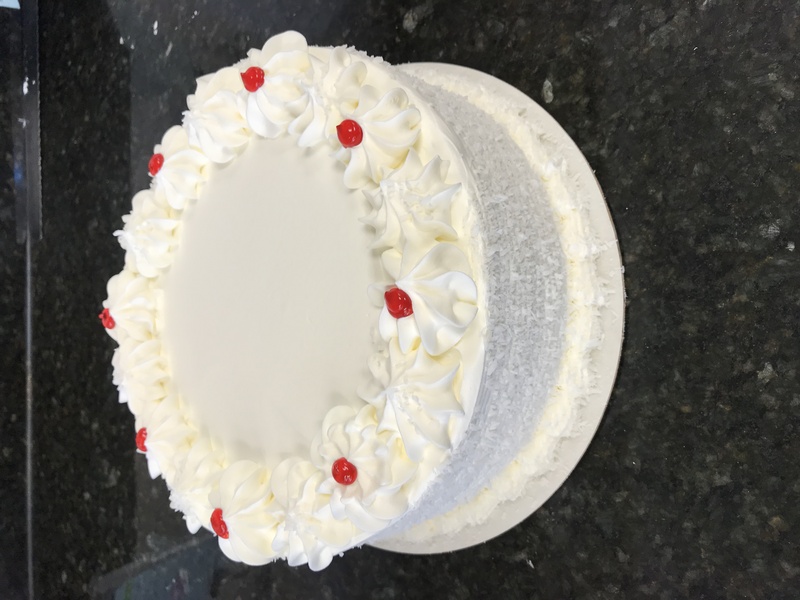 Topped with a Whipped Icing*, finished with coconut on the sides.